I have been working in the arts for around 10 years professionally as an actor, poet, theatre maker and workshop facilitator. I was homeless for a period of about 8 years from the age of 15 and spent most of this time performing my poetry in the street. When I finally got settled in 2003, I became heavily involved in theatre on a local level. The following years saw me produce two national touring shows and work with young people all over the country. After a period managing an arts programme for an organisation in Blackburn, I decided I would like to go back into acting. I am now completing my third year at Manchester school of theatre and am beginning to put myself up for castings. Lula received a DaDA Scholarship in 2014. She has been working across the arts since graduating: as resident host presenting at The London Jazz Festival, AfroPunk and Love Supreme Womad, as an actor, she is currently in R&D with The National, and as a musician, sound designing for HOA Dance Company and Filament Theatre Company’s production ‘Ruffus Longbottom and the Space Rabbit’. Lula is working on her own audio visual installation project using interactive Mimu Gloves ( gestural Midi controller) to create music and tell stories. Supported by B3 Media and Nottingham University the installation aims to re-imagine the idea of an immigrant in the future in an age when a city is erected on mars. Quirky, edgy, hip, urban, loud, but also warm and approachable. Experience in film, commercial work and TV. Well traveled, fully tri-lingual, philosopher, artistic in other ways. Jennifer Claire is a London based actor and voice over artist who is passionate about collaborating with others to create and tell stories that inspire and uplift humanity. She believes that acting is about authentic connection and relating as well as revealing her essence and having fun! Jennifer is particularly interested in screen acting and leans especially towards Sci-Fi and the Supernatural. She is generally considered for strong willed, passionate and confident characters who also have an inner softness so this could span professional career women, for example. Jennifer has an MA Psychology of Religion and is fascinated by the subconscious mind and how it can be used for personal development as well as an interest in mysticism/the supernatural. I am a trained actor of six years from David Johnson’s, Brian Timmoney’s and Kate Marlow’s Schools of Acting. I also have international professional experience as an award winning writer and director. I have been working in the Film and TV industry for over 10 years, some TV roles include the Emmy nominated Luther and the Bafta nominated Top Boy, a few directors I’ve worked including Michael Winterbottom, Paul McGuigan and Guy Ritchie. In 2013 I won Best Actor award at the British Arrows for ‘Helpless’. As well as acting I have been coaching both children and adults in acting and am one of the main directors at London School of Screen Acting. ‘A Father’s Day’, Mat’s latest film, is his most ambitious to date and was made with the support of Creative England’s iShorts, a short film initiative delivered as part of the BFI NET.WORK. 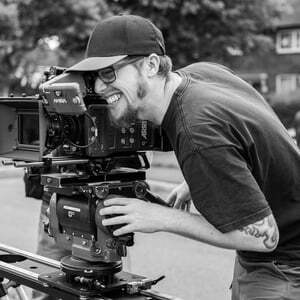 Carl Davies is a North West-based cinematographer and video maker. 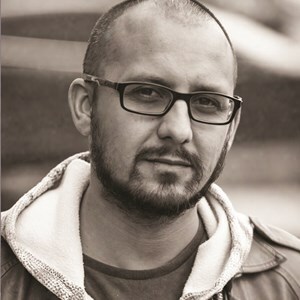 He holds a BA in Media Production and works at the crossroads between video, artists and art/cultural organisations. As a cinematographer, he has realized a number of film and video art projects, ranging from narrative to documentary to experimental. Carl has worked with Liverpool Biennial, FACT (Foundation for Art and Creative Technology), Manchester Camerarta Orchestra, Liverpool Everyman & Playhouse Theatre, TED X, Opera North, Sony Computer Entertainment and many others. Working as a freelancer in the art department for the last 7 years has given Rhiannon fantastic experience in many different areas of production design. Rhiannon enjoys the challenges of making props and also tackling large set builds, and particularly sourcing props. Rhiannon has worked on a range of projects including Short films, Commercials and Theatre productions. She really impressed us with some of her prop designs which included fake bricks, edible black apples and a mummified corpse! Wow! The effect of a high-quality costume is nothing less than magical. The job of the costume designer is to cast a spell over the audience, to work in tandem with the actor’s abilities to draw an audience into a world which isn’t there. Designing and making effective costumes is a craft I’ve delighted in honing during my time at Nottingham Trent University. I’m excited to begin a career in something I absolutely love doing. 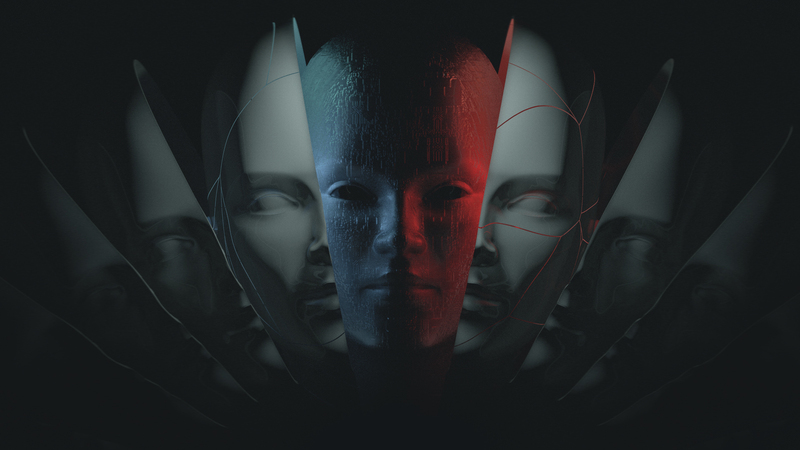 Luke Dewhurst is a professional CG artist based in the North of England. Image by Karl Johann Jonsson. Gary Naylor aka Scrubber Fox started performing as a musician in school 1995 in a Brass band and began composing his own music on an Atari ST in 1997. He is now a multi talented AV artist who builds his own circuit audio visual instruments, runs workshops with a diverse range of participants, and performs to large and small audiences across the UK. He has delivered workshops in Helsingor, Denmark, Edinburgh University, Leigh Turnpike gallery, Urbis, prisons, libraries as well as speaking at schools and colleges about his work. Since 2015 he has been creating AV installations using circuit bent vintage games consoles and video mapping. Scrubber Fox is a regularly supports Venetian Snares since 2012 and has also supported 65 days of Static. He has performed at Sines and Squares Festival in Manchester and in London at Bangface, Ginglick. He has been a constant collaborator with AlbinoMosquito, creating sound design for their visual works.